Our mission is to build strong communities in West and Southwest Philadelphia through securing economic opportunities in the areas of affordable home-ownership, financial education, and commercial corridor revitalization. 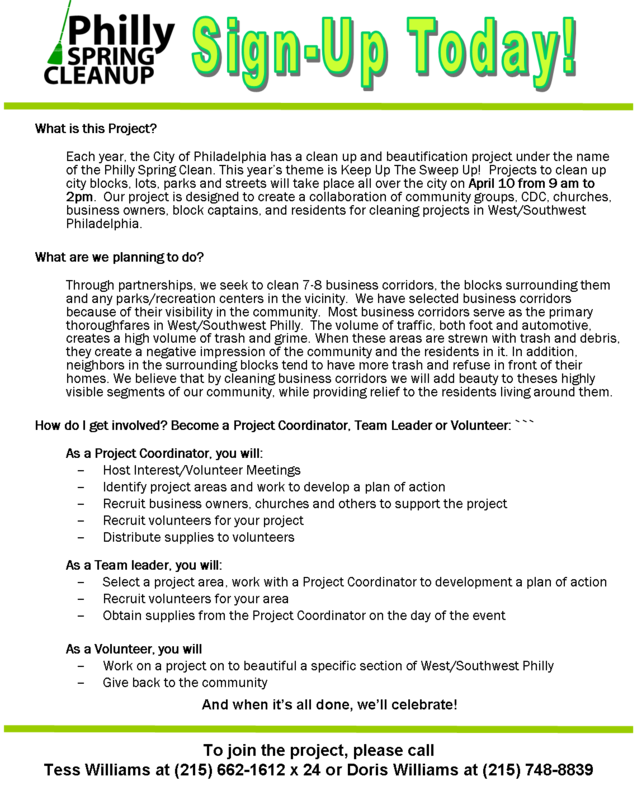 Check our Spotlight Page for more events. Thanks to all who made the 2010 Rhythm & Blues Fest a success! On September 18, 2010, the sun was shining, the music was bumping and all the visitors of The Partnership CDC’s 2010 Rhythm & Blues Fest were having a great time! We had over 31 vendors, 10 acts, and a great turnout! Elwyn is a non-profit human services organization recognized nationally and internationally as experts in the education and care of individuals with special challenges and disadvantages. Elwyn is a pioneer in developing groundbreaking programs for children and adults with disabilities and disadvantages. Their innovative culture and dedicated staff enable them to help more than 12,000 people each year build more independent, productive lives. Prime Property Management, Inc is the leader in quality affordable rental housing in West Philadelphia. Prime Property Management, Inc proudly manages homes owned by Neighborhood Restorations. University Place Associates was founded by Scott Mazo and Tom Leonard. Mazo is a principal of Neighborhood Restorations, Inc. and Prime Property Management. Established in 1963, the University City Science Center was the first, and is one of the largest, urban research parks in the United States. They began as a collaboration among several local academic institutions, and now have 31 colleges, universities and research institutions among our shareholders. The Lomax Companies (TLC) is a holding company that owns and manages a diverse portfolio of operating businesses and ventures engaged in a variety of industries including technology, real estate, media, agribusiness, and investing. PNC is a highly diversified and growing financial services organization spanning the retail, business and corporate markets. PNC was the 2010 Rhythm & Blues Eco-Friendly Sponsor. Today, we are the oldest and largest bank headquartered in Philadelphia. With more than $4 billion in assets and a network of over 65+ helpful banking offices throughout the Delaware Valley, we remain dedicated to our customers and their financial goals. Improving lives and health in underserved communities throughout the Philadelphia area is among Penn Medicine’s highest priorities. Every day, our physicians, nurses, medical students, and volunteers share their knowledge, skills, and themselves to benefit the community. Activities include free health clinics and screenings, disease prevention and treatment education, support groups for patients and their families, and health care career development. Whether you are starting out or starting over, Community College of Philadelphia can take you where you want to go. With more than 70 associate’s degree, certification and continuing education programs, a lively campus near Center City, and a supportive, top-flight faculty, Community College of Philadelphia is your path to possibilities. The University of the Sciences in Philadelphia is a private, comprehensive, coeducational university founded in 1821 as Philadelphia College of Pharmacy, the first school of pharmacy in North America. The offer all types of business insurance: such as transportation industries, contractors, retailers, manufacturers, and medical & business offices. Drexel’s Mission is to serve our students and society through comprehensive integrated academic offerings enhanced by technology, co-operative education, and clinical practice in an urban setting, with global outreach embracing research, scholarly activities, and community initiatives. 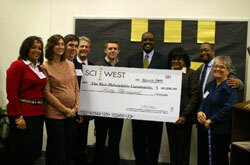 The Partnership CDC is proud to announce the SCI-West Community Grant Award. The purpose of the SCI-West Community Grant Award is to support the efforts of grassroots community-based groups within the target area to implement small projects that support the mission of SCI-West. With The Partnership CDC’s focus on sustainable, healthy and vibrant communities, it is natural that we are collaborating in this grant, along with The Enterprise CDC, The University City District, and The People’s Emergency Center CDC. It is funded by the Local Initiative Support Corporation (LISC). Councilwoman Jannie Blackwell and representatives from the partner CDCs. One time grant awards will be made for $3,000 per project. Projects must be in one or more of the focus areas: beautification, safety/security, community based events, educational programs, and environmental projects/programs in the SCI-West target area. Five grants will be awarded to organizations from each of the four partner CDC’s. A selection committee comprised of stakeholders/volunteers from each CDC will evaluate the proposals and select grant recipients. Successful projects must fall within the SCI-West target area, which is bound by 34h Street on the east, 50th Street on the west, Mantua Ave/Westminster and Parrish Streets on the north, and Pine Street on the south. Projects must be collaborative in nature and incorporate a team approach. Projects should also include the involvement of the SCI-West local partner CDC/ Multiple stakeholder participation is encouraged. Projects must involve at least one community organization/group other than you own not including you SCI-West partner agency. Previous grant applicant and/or recipients may apply again as long as the project submitted for this round includes different community partners and a different project. Eligible groups may include neighborhood based organizations, civic associations; business associations, voluntary associations, and neighborhood block clubs. Eligible organizations must have, or partner with a target area organization with the appropriate organizational capability to receive and administer grant funds—501c3 status only. Proposals must show evidence that residents from the community/neighborhood/block where the project will be implemented are actively engaged. Proposals must demonstrate measurable outcomes that will strengthen/enhance/improve the community being served. Proposals must clearly define who the requested funds will be used and the anticipated impact of the proposed project. Furthermore the funds requested will enable the organization to complete a project that falls within one of the five key areas outlined. The submitting organization must have the capacity to complete the award follow-up form, upload pictures and status updates to Facebook, and a short written report. The Partnership Community Development Corporation has opened registration for its Winter 2010 Home Buyers Club, which offers weekly workshops on buying a home starting September 8th at the PECO Financial Education Center, 4027 Market Street in West Philadelphia. The class may qualify eligible particpants for closing cost assistance. Classes cost $40. The City Harvest Growers Alliance (CHGA) is a project sponsored by the Pennsylvania Horticultural Society’s PhiladelphiaGreen (PG) program and funded by the USDA. Its purpose is to increase the supply of nutritious, locally-grown produce in Philadelphia, provide material and educational support, and provide supplemental income to entrepreneurial growers. Specifically, the project will provide plants, supplies and support through Green Resource Centers to participating urban farming entrepreneurs. Members of CHGA will receive instructional workshops on pre- and post-harvest handling for markets and local resources for preparing for markets. Priority will be given to more experienced gardeners/growers. All applications must be submitted to PHS by 5 p.m., August 6, 2010. Mail or hand deliver to: PHS 100 N. 20th St., 5th Floor, Philadelphia, PA, 19103, Attention “CHGA.” Fax: 215 988 8810. Email: chga@pennhort.org. The Partnership CDC featured in the University City Review! Despite the nearly oppressive heat, over fifty environmental enthusiasts, including Councilwoman Jannie Blackwell, came to celebrate the launching of the Green and Healthy Initiative on North Holly Street, a quiet block right above Powelton Avenue and between 41st and 42nd Streets, last Tuesday, June 29th. Implemented by the Partnership CDC in conjunction with SCI-West, the Green and Healthy Initiative aims to “create a holistic view on a block-to-block basis,” said the CDC’s Executive Director Steve Williams, going on to note the other entities supporting the program. They include: PECO, Bio Neighbors, R.I.S.E., Councilwoman Blackwell and the Mayor’s Office of Reintegration Services for Ex-Offenders. “Participants,” continued Williams, “may be eligible to receive a cost and energy saving eco roof at a nominal fee.” Those who install eco roofs will save an average of $300 a year on their energy bill, added Williams. Specifically targeted toward ex-offenders, the Green Training Program will teach them the emerging green construction industry, said Williams. “Unlike the digital divide, where lower income communities still struggle to receive adequate computers and training, the CDC wanted to bring the Green and Healthy Initiative “here while it was still on the edge,” remarked Williams. Homeowners who opt to install an eco roof can choose between two types: White or green roofs, said Williams. An acrylic substance plastered on the existing structure, white roofs “reflect the heat which creates an ambient, cool temperature to the touch, which reduces the temperature indoors,” explained Williams. So out of all the blocks across the city, why choose North Holly Street? A local non-profit, the Partnership CDC strives to provide affordable housing, job creation and training, economic development and environmental awareness in West and Southwest Philadelphia. Open since 1992, the Partnership CDC has developed over 370 affordable housing units, counseled over 6,400 families and directly invested over $60 million into its Catchment area. For more information on the CDC or the Green and Healthy Initiative, go to: partnershipcdc.org. The backyard of The Partnership CDC was recently given a face-lift, transformed from its past of concrete to a much more aesthetically and environmentally pleasing Greenhouse. The Greenhouse was built to show the rest of West Philadelphia that The Partnership CDC is ready to do some ground breaking work in the city and make it more sustainable and healthy for all. The work of the Partnership CDC has been so significant that we were awarded the Community Conservation Grant from the Philadelphia Zoo. The Greenhouse, characterized as the “doorway to the future” by Executive Director Steven Williams, has been a major milestone in the Partnership CDC’s mission of greening Philadelphia one block at a time. 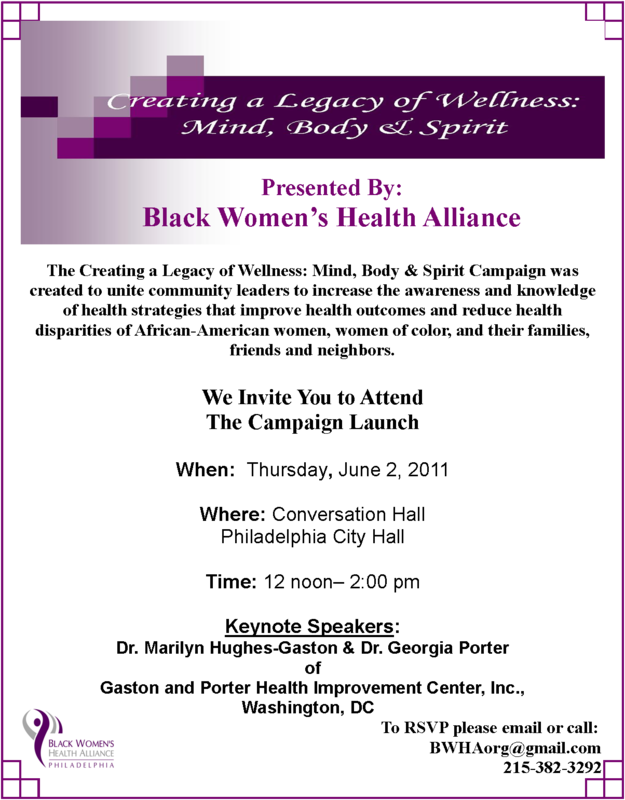 It is one of the many facets of The Partnership CDC’s Green and Healthy Initiative Programs. These programs are designed to decrease unhealthy environmental factors in homes, provide hands- on project- based training for West Philadelphia’s emerging green economy and green professionals, and increase the economic health of families by lowering home energy costs and building financial literacy. By addressing these issues in our community, we have been able to create a model that we hope to have replicated throughout the city. Of course, we didn’t do this alone. The City of Philadelphia’s R.I.S.E. program, BioNeighbors, ECA, Sci-West, LISC, The City of Philadelphia’s Office of Housing and Community Development (OHCD), The Enterprise Center and PECO, along with our dedicated volunteers, have all been instrumental in making these programs as effective and wide reaching as possible. Also, the employees of The Partnership CDC have been the backbone of this program. Our structural engineers, Dave Young and Mike Brown were the main catalysts of the group that designed and built the greenhouse, cultivated the greens, and provided the knowledge and morale for the rest of the team. Without this substantial help, the Greenhouse and other Green and Healthy Initiative Programs would have been impossible. The microgreens and herbs found within the Greenhouse are described by Alix Howard as “delicious”, and all of these plants will be used for environmental, educational or edible purposes. This is a new turning point in urban farming, and we invite you to come see it for yourself! Because of all the Green and Healthy Initiative Programs by The Partnership CDC, Philadelphia will go green one block at a time. In celebration of Earth Day, come to our Green House Warming on April 22nd! Our Green House Warming Celebration Will Provide an Opportunity for the public to come and see the newest addition to Market Street and learn more about The Partnership CDC’s Commitment to Greening West Philadelphia. 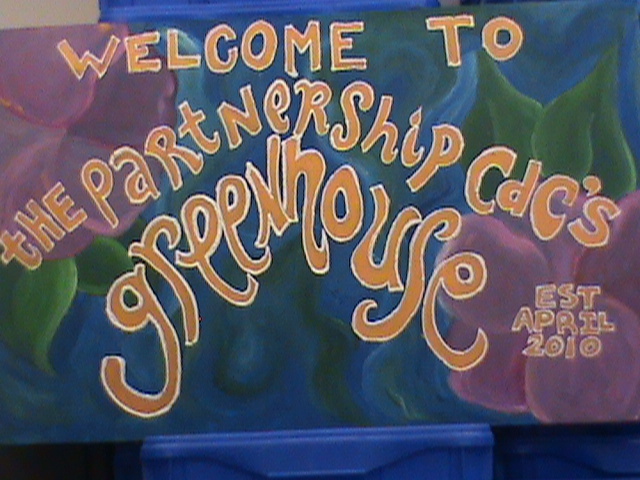 April 21, 2010 – Philadelphia, PA – In celebration of Earth Day, The Partnership CDC (Community Development Corporation), is proud to present its brand new greenhouse on April 22nd, 2010 from noon to 2pm. During this “Greenhouse Warming” Earth Day Celebration, The Partnership CDC (Community Development Corporation) invites members of the community and media to come and view the greenhouse and learn more about our green programs and initiatives. The Green House Warming Earth Day Celebration is a chance for The Partnership CDC to bring members of our community together and encourage them to share in our mission of bringing a green future to West Philadelphia. The Greenhouse itself will be dedicated to growing plants that The Partnership CDC’s Green Professional Training students will use in the installation of Green Roofs across West Philadelphia. The Greenhouse will also serve as an educational venue for local students and groups who want to learn more about plant science, urban farming, and greenhouse construction. The Partnership CDC is a local non-profit organization dedicated to the provision of affordable housing, job creation and training, economic development and environmental awareness in West and Southwest Philadelphia. Since 1992, The Partnership CDC has developed or co-developed over 340 affordable housing units, counseled over 6,400 families and directly invested over $60 million into the West Philadelphia Community. 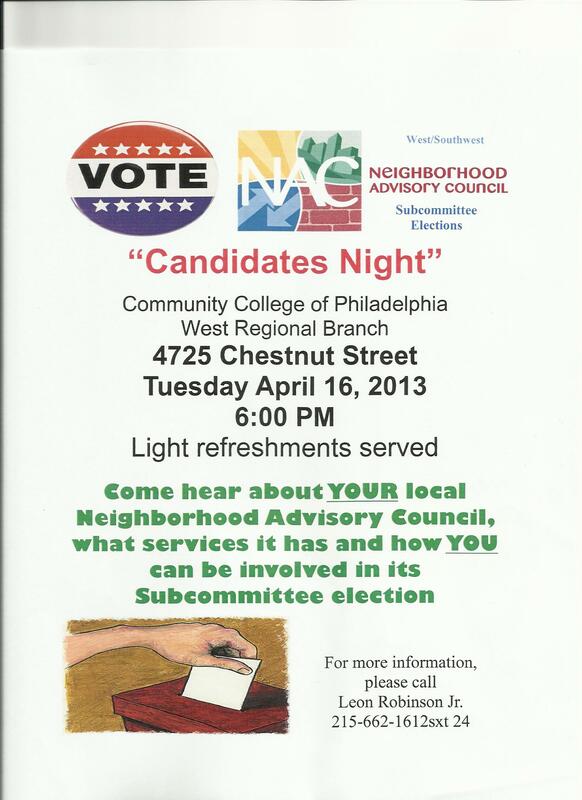 For more information, please call Alix Howard at (215) 662-1612 x 22, ahoward@thepartnershipcdc.org . 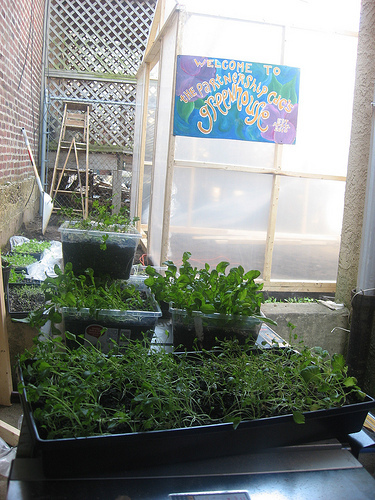 Community groups interested in touring the greenhouse should contact Tess Williams at (215) 662-1612 x 24 or awilliams@thepartnershipcdc.org.